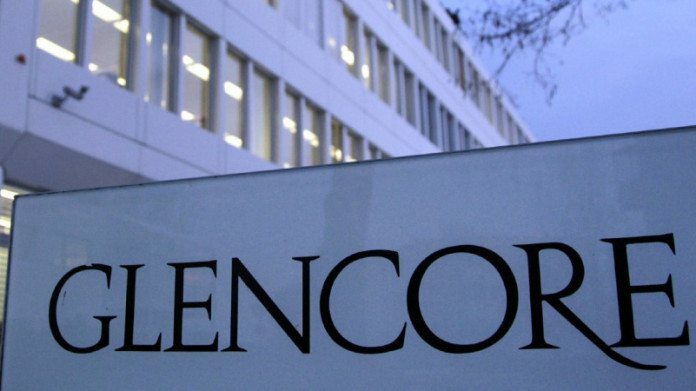 GLENCORE was “considering its strategic options” in respect of its $1.8bn Mutanda Mining Company, a producer of copper and cobalt that mines in the Katanga province of the Democratic Republic of Congo (DRC). This was after the Swiss-based mining and commodities trading group had received “certain incoming press inquiries in relation to the potential acquisition of a further stake in Mutanda”. It didn’t provide other details. Mutanda Mining is a joint venture between Glencore and billionaire Dan Gertler’s Fleurette Group. In the nine months to September its pits produced 162,300 tonnes of copper and more than 18,000 tonnes of cobalt. It escaped a production cutback in 2015 that was imposed on other assets in Glencore’s African Copper devision, of which Mutanda is a part, amid a decline in commodity prices. However, the mine has attracted negative attention because of Glencore’s links to Gertler who was identified in a US investigation as a person who had paid bribes to secure business in the DRC. Gertler has denied the claims. The Financial Times reported that Glencore could buy all or part of the 31% stake held by Fleurette in the Mutanda copper mine. Glencore already owns a 69% interest in the open-pit mine. After paying down debt and strengthening its balance sheet, Glencore’s CEO, Ivan Glasenberg, is looking to deals. In December, the company joined forces with Qatar’s sovereign wealth fund to buy almost a fifth of Rosneft, the giant Russian oil company. On December 1, Glencore announced it would pay a dividend of $1bn in two halves during its 2017 financial year signalling that nearly two years of balance sheet deleveraging, in which the dividend was sacrificed, had come to an end. Glencore also unveiled plans for a new distribution policy which would take effect in its 2018 financial year the basis of which was a fixed $1bn distribution from its marketing division supplemented with a 25% payout from its mining assets. It is set to reduce net debt to between $16.5bn to $17.5bn having sold $6.3bn in assets – far in excess of the original $1bn to $2bn sell off ambition. “Glencore can look forward to the future with confidence, based on our scaleable and low cost industrial operations and robust marketing business,” said Glasenberg at the time. Commenting on the resumption of the dividend and new dividend policy from 2018, JP Morgan Cazenove said it reflected “an admirably well executed debt reduction strategy across 2017”.